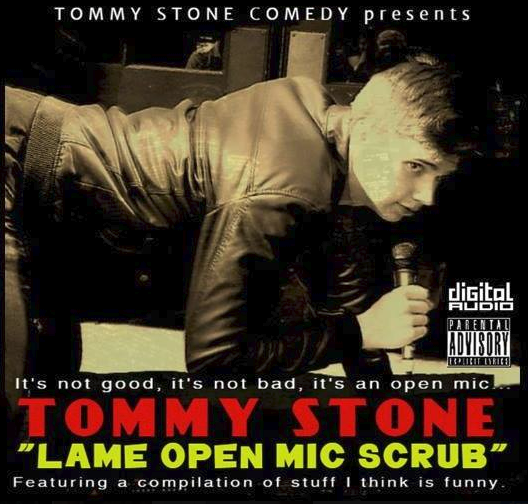 "Lame Open Mic Scrub" (sometimes referred to as, "Tommy Stone: Year One") is the debut comedy album by Tommy Stone. Written by Tommy Stone, produced by "Tommy Stone Comedy", and released under the "Stone & Nutz Comedy" brand. It was recorded over the course of the year 2016-2017 at various open mics across the Northeastern, Pennsylvania area. The digital download version will be available July 14th, 2017 on iTunes; released as a free comedy album! Along with being released on a CD version. The Atmosphere of an Open Mic is something special! The Stench of Body Odor, Hecklers, interruptions, distractions, & generally uncanny people. This is where comedy is born! Comedian Tommy Stone highlights this world of the open mic comedy scene, by diving into the deep and dark places of his unhinged brain. Sometimes you just feel like a "Lame Open Mic Scrub," It's not good, It's not bad. It's an Open Mic! 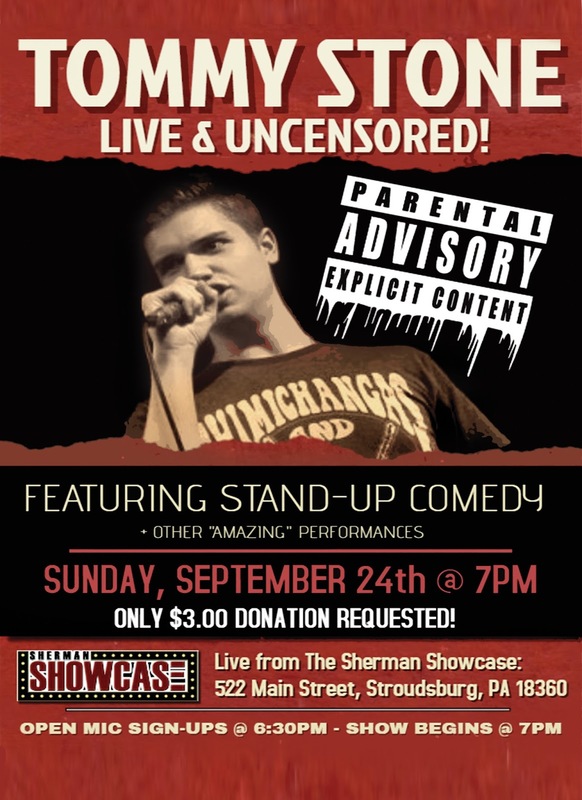 Label: "Tommy Stone Comedy", and "Stone & Nutz Comedy." Edited by: "Tommy Stone Comedy"
Music by: "Houston & the Dirty Rats" [Longer & Banana Song] - Special Thanks To: Thomas The Red, Erich Drexler, Bryan Walsh, Chris Jones, P.j. Kelly, & Elliott Elliott. ONLY $3.00 REQUESTED FROM VENUE! 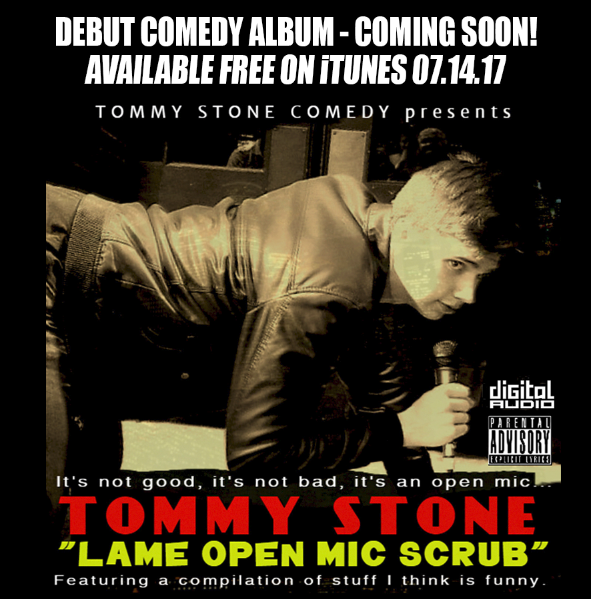 Tommy Stone Debuts First Comedy Album this July! "Lame Open Mic Scrub" Free on iTunes!